Support our “Penniless” Peace Pilgrimage! Our 200 mile walk celebrating the Dalai Lama’s 80th Birthday is entirely relying on the kindness of others. 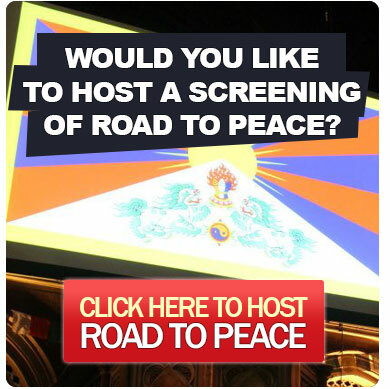 Host a screening of Road to Peace and you can play your part in spreading and actively living the Dalai Lama’s message of Universal Responsibility. Please sponsor our challenge of completing this 200 mile peace walk without carrying any money. 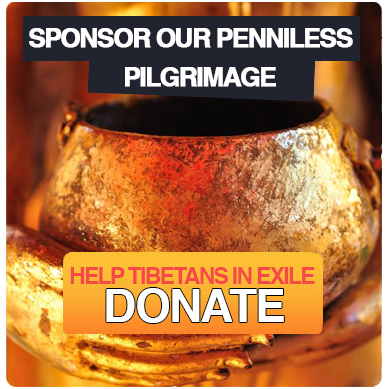 All sponsorship raised will be donated 50/50 to the Tibet House Trust (an amazing charity supporting Tibetans in exile), and future Road to Peace film projects made in service to humanity. 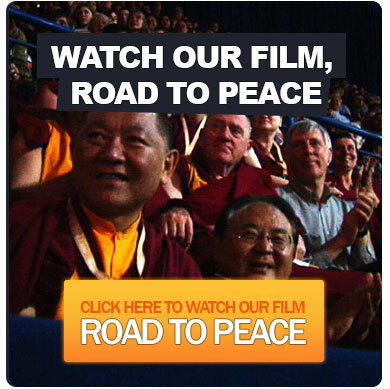 You can also support us by watching our film, Road to Peace. 5% of the proceeds from the film are also donated to the Tibet House Trust, supporting its work to preserve Tibetan culture and identity and enabling Tibetans in exile to maintain sustainable lives. In the true spirit of traditional Buddhist pilgrimage – and inspired by modern pilgrims like Satish Kumar and Peter Owen Jones – we are undertaking the challenge of walking our two week Peace Pilgrimage from London to Glastonbury carrying minimal possessions, without a support vehicle, and without carrying any money. Carrying the bare minimum to survive, we hope that our film Road to Peace, which we’ll be sharing with people as we go, will inspire people’s trust and kindness. 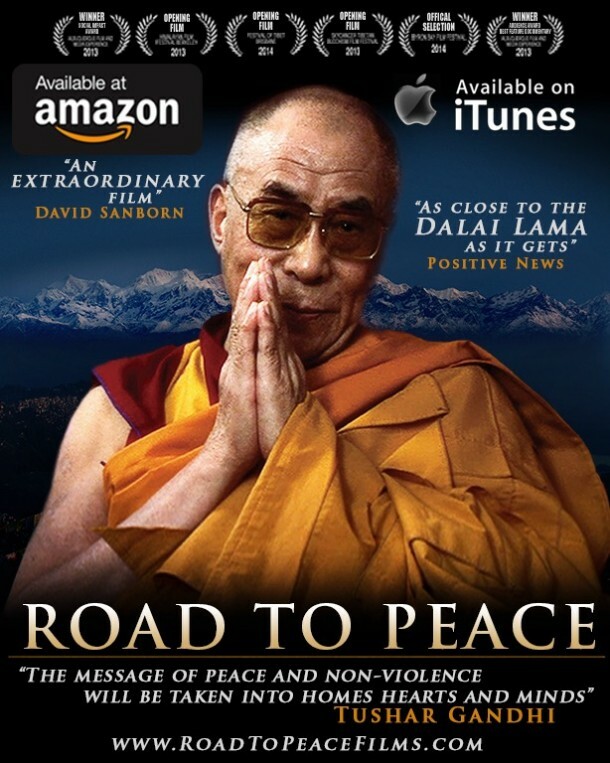 Road to Peace was an independently made and entirely self funded film, which could not have happened without the support of numerous volunteers who gave up their time, skills and love to support our endeavours to create a more loving and enlightened world. Support our next film Road to Happiness, by clicking on the link above! 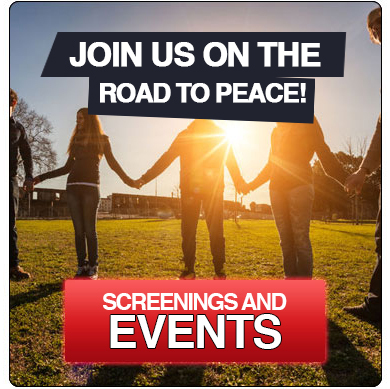 During the pilgrimage, we invite you to attend screenings of Road to Peace and to participate in our World Peace ceremonies at Avebury on 20th June (Solstice), and Glastonbury Tor on 27th June. Sign up below for News and Updates, and follow us on Facebook and Twitter!